I will be using GNS3 version 1.1, an Ubuntu 14.0.4 server running Shrubbery Networks TACACS+ daemon and a Junos olive image running JUNOS 12.1R1.9. TACACS+ is an Authentication, Authorisation and Accounting protocol that provides a centralised method of controlling user access to network devices. For more information on TACACS+ please see my previous post TACACS+ on Ubuntu 14.04 LTS. 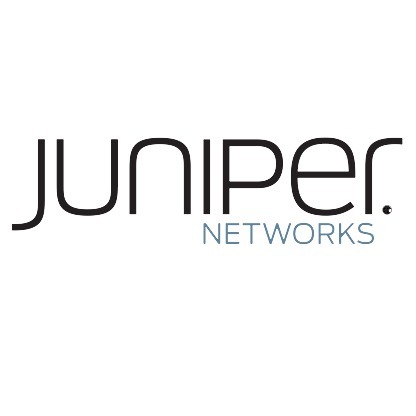 For a Junos device to authenticate against our TACACS+ server, we first need to add a user using the Juniper Networks Vendor-Specific TACACS+ Attributes. In this example i will be creating a super-user called junos that will be associated to the default user SU on the Junos device for authorisation. Configure server details for Authentication. These include the TACACS+ server IP, source IP address, shared encryption key, and the Authentication order to be used on the device. Assign login class for Authenticated users, this provides the Authorisation of users via TACACS+. Configure the TACACS+ system Accounting for the device. 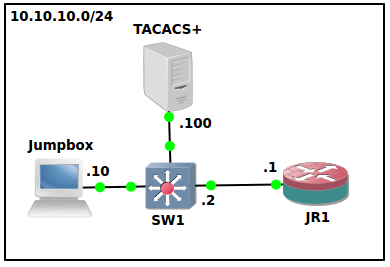 To use TACACS+ authentication on the router, we need to configure information about one or more TACACS+ servers on the network by including one tacplus-server statement at the [edit system] hierarchy level for each TACACS+ server. Configure the device to maintain one open Transmission Control Protocol (TCP) connection to the server for multiple requests, rather than opening a connection for each connection attempt. Now that we have the Junos device configured to send authentication requests through to the TACACS+ server, we must configure Authorisation for the user. At this point you will be able to login to the Junos device and authenticate on the TACACS+ server. However as we have not configured any accounting profiles yet we would not be able to track what commands are issued on the device. 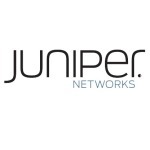 To verify that the configuration is working, I am going to telnet from the Jumpbox (10.10.10.10) to the JR1 Junos device (10.10.10.1) and attempt to authenticate using the junos user account. I will display the output from the terminal of the Jumpbox, the output from the log messages on the Junos device as well as the output of the TACACS+ servers logs. As you can see from the above output, the user junos successfully authenticated against the TACACS+ server and was authorised to access the configuration mode of the device. A log was also kept of all the commands that were run by the user in /var/log/tac_plus/tac_plus.acct. This is not working for me. I am able to get the accounting logs on tacacs server but not able to login to devices using tacacs.Any suggestions? Hello, all work is fine, very good article! Thank you.